Benjamin J. Heckendorn, more easily known as Ben Heck, makes a lot of cool stuff. He's made laptops out of the Atari 800 and Commodore 64. He's used household objects to help make a controller that severely physically disabled gamers can use. He's even made an Xbox 360 controller dispense Hot Pockets, because why not? 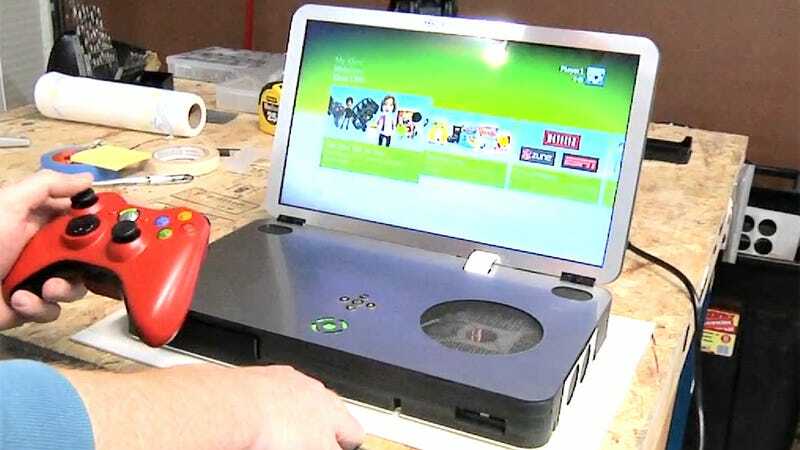 In the most recent episode of his web show, Heck builds an Xbox 360 laptop. And not just any 360 laptop: he makes the machine as small and sleek as possible. So how large does an Xbox 360 laptop have to be? The answer is, not very. Though he does admit, at the end, to leaving out the hard drive for reasons of space, heat, and power. But with a handful of easy-to-reach USB ports on the Laptop 360, storage is still easy to find.